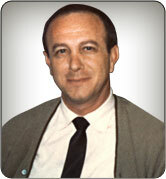 In 1971, Max Mayson founded Mayson Food Products, Inc., in Atlanta, Georgia. His aim was to develop superior flavored drink syrups and bar mixes. He worked tirelessly in the plant’s laboratory and meticulously perfected formula after formula. Within a short time, foodservice accounts throughout the southeast were ordering Mayson’s “Finest” Mixes. Next Max decided to experiment with a drink that was gaining popularity in the local Atlanta area. This drink would become the signature item of Mayson’s product line – the Margarita. Max wanted to create a new and unrivaled margarita recipe, and he ultimately achieved a novel concept by developing two recipes. Working with all natural fruit and fruit flavors, Max developed a pair of concentrated liquid margarita mixes – one to be enjoyed “on the rocks” and the other to be “frozen” in blenders and frozen drink (granita) machines. The key was that each recipe was specifically formulated for the distinct manner in which the drink would be prepared and served. This allowed the “on the rocks” product to maintain its flavor as the ice melts and the “frozen” product to maintain its flavor and frosty texture to the end of the drink. Max created margarita mixes that are delicious, economical, and easy to prepare. All the great taste is in Mayson’s Mixes - there is no need to add triple sec or any other flavors or ingredients. Mayson's unique formulas ensure a consistent drink every time. Mayson’s began offering the two products, Mayson’s Frozen Margarita and Mayson's Margarita on the Rocks, and they were immediately successful in the market. Soon to follow was a full line of margarita and daiquiri mixers developed in the same meticulous spirit as the original two mixers. The brand’s popularity spread rapidly, and within a short time, customers were calling from across the nation. Today, Maurice Cohen, president of Mayson Food Products, carries on the tradition inspired by Max Mayson. The company continues to be family owned and operated, and every batch of Mayson’s mixes is carefully manufactured with the highest standards. Mayson’s award winning recipes have established its reputation as the manufacturer of the best quality products in the market.